Being already a fan of Swagtron (I own the Swagtron T1 hoverboard) I was excited to try out their electric skateboard, the Swagboard NG-1. 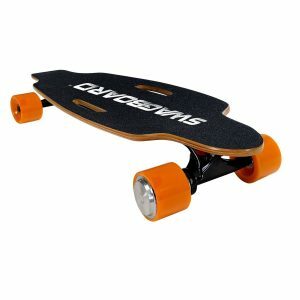 At around the $300 mark, this happens to be one of the cheapest on the market (electric skateboards like Boosted can cost up to $1500) so to be honest I wasn’t expecting too much, but at the same time I hoped it would be a reasonable investment for someone new to electric skateboarding or just looking for a budget option. My Swagboard NG-1 review is going to tell you a little bit about this product and what you need to know. 4 Is it safe to use? 7 What’s the customer feedback like? 9 Verdict: Should you try it? It measures 4 by 32 by 9 inches and weighs 10 pounds (that’s super light if you need to carry it). It’s crafted from 7-ply maple wood deck and adorned with grip tape. The wheels are coated with polyurethane, a polymer compound that makes them scratch, heat and water-resistant. The board itself is more flexible rather than rigid, a design choice making it easier to manoeuver. It has a lightweight 24V Li-on Fe battery pack with a smart indicator. It takes about an hour to charge and can last for approximately 4 to 10 miles, depending on the incline and user’s weight of course. 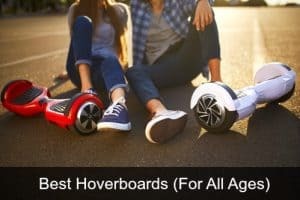 It has a maximum speed of 11 miles per hour (17.7 kilometers per hour) – this is quite a bit faster than a hoverboard so you need to be careful when riding if you want to ride at top speed. There is a cruise control option that keeps the board going at a slow and steady speed without any input from you. While it is a bit more complicated to operate than a regular skateboard, the Swagboard NG-1 is still pretty simple to use. To begin with, when you get it out of the box you will first need to charge the battery to its full capacity. After that, switch on the board and the wireless remote that comes with it. That little remote is used to control all of your movements: accelerating, reversing (which also serves as braking), and activating cruise control. In order to turn left or right you simply need to shift your weight a bit, as you would with a regular skateboard. You just need to make sure that both of your feet are firmly planted on the board before you take off as the acceleration is a tad sudden. There is a learning curve to it, but it’s definitely not steep. One thing Swagtron seems extremely proud of is the fact that their products are UL-certified. This means that UL (Underwriter Laboratories), a non-profit organization that tests, inspects and validates products as an objective third-party, has determined that Swagtron’s products meet the industry’s safety requirements. Like the rest of their products, the Swagboard electric skateboard is UL 2272 certified and is equipped with Sentryshield Battery Technology. That means that the product itself is completely safe. However you do need to take into consideration that this travels quite a bit faster than a hoverboard, so you need to take your own precautions when it comes to actually riding it (knee pads, helmet etc.) 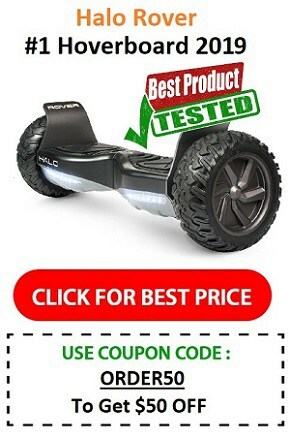 Falls are almost inevitable when it comes to electric skateboards! Probably the greatest strength of this electric skateboard is its price tag. Most of its competitors are much more expensive, generally ranging from $600 all the way to $2000 for the highest-end gear. Seeing as how these kinds of skateboards are still in their relative infancy, going for the more expensive models probably isn’t all that smart of an idea seeing as how they will very quickly become out-dated to make way for newer, better, and probably cheaper models. If used within its capabilities, this board is actually quite reliable and won’t start wearing down any time soon, all while giving quite a decent performance in terms of speed and distance. All in all, it was designed to be a good budget choice for people who don’t want to spend too much. Needless to say, there is after all a reason as to why it costs so much less than its competitors. A few people have voiced complaints about receiving defective products. One customer said the wheels weren’t properly assembled, another returned it because the battery was under-performing, while a third one had to send his model back for a refund because it simply wouldn’t turn on after charging. Battery and charger defects seem to be the most common problems according to Amazon reviews. The customer service was also described as somewhat unhelpful, in the sense that they mostly just recommend you return the product for a new one. These types of occasional manufacturing defects coupled with a shaky customer service are the tell-tale signs of a young company with a limited budget that can’t afford to invest as much as they would like in quality control. The reality is that if you buy from Swagtron, there is a chance you’ll get a defective product and have to return it (at your own cost). For better customer service and easier returns I recommend buying from Amazon rather than the official website, but of course that’s your choice. What’s the customer feedback like? If you click through to Amazon to check out the Swagboard NG-1 reviews you’ll see that they’re mixed – some good, but some bad too. It has a lot of great reviews, and many people are very happy with it. However, a few people have experienced some faults with theirs, and for that reason I recommend buying from a retailer like Amazon rather than the official website. They just have an easier returns policy and you can get a replacement much faster (in the unlikely event that you might need one). 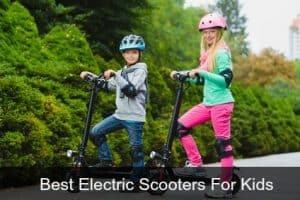 Others say that the range isn’t what’s advertised, but that tends to be the same with any method of personal transportation – range is dependent on a number of factors (unless you’re a kid riding on flat ground all the time) and you probably won’t get the full 10 miles (probably closer to 6-8 miles). There was a complaint that the Swagboard doesn’t go backwards, but how difficult is it to stop, turn the board around and go the other direction? If you’re going to buy a budget board it’s not going to do everything! 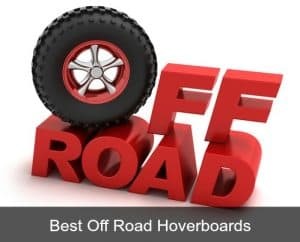 Positive comments say that the board is well built and durable, it actually does travel at 11mph (which is reasonably fast) and it’s great fun to use. That I definitely agree with! The Swagboard electric skateboard comes with a full years’ worth of warranty against defects in material or workmanship, and if you make use of it they will either send you a brand new model or use refurbished replacement parts, depending on the situation. Additionally, you have the option of purchasing a 1-year accidental damage warranty for $100. Verdict: Should you try it? 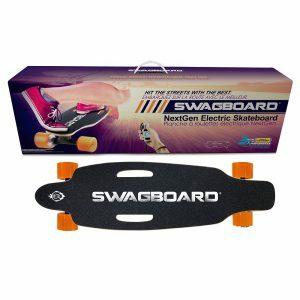 In my opinion, the Swagboard NG-1 is an okay option as far as budget electric skateboards go. The only thing you’d have to worry about is a manufacturing defect, and even on the chance that happens, the default warranty is good enough to cover you. It’s pretty easy to get a replacement if necessary – disappointing and annoying though if you end up having to do that. Also the reviews being as mixed as they are, I’m not sure I’d recommend getting this as a gift – it just seems to be too unreliable overall. Who is it best for? Kids and teenagers will probably love the Swagboard (as long as it works). Adults new to electric skateboarding too – this is a decent entry level board for anyone, as long as you don’t exceed the max weight of 176lbs (if you weigh more than this then it will almost certainly affect the performance of the board). At a top speed of 11mph it’s not super fast, but its faster (and cheaper) than most hoverboards. It’s great for short commutes to school, college or work. Range will be dependent on the speed you travel, your weight, and the terrain so although it advertises a range of 10 miles, it’s likely to be a bit less than this (especially for an adult of average weight). While it may not be better than its peers in terms of pure performance, it certainly has better value at a price lower than most of its competitors. So although it’s not perfect, I do think it could be an okay investment if you’re looking for a budget board – just don’t have your expectations too high. Things have been known to go wrong with this product. At the price though it might be worth at least checking out. I recommend Amazon over buying on the official website as they tend to have better customer service.